Hi friends! I’m soo excited to be participating in the American Crafts Valentine’s Blog Hop again this year. There’s so much talent & inspiration along the way. Oh and of course, lots & lots of giveaways, like the not one but TWO I have below. You probably came here from Ashley’s blog, so welcome. If you are new to my blog, I hope you like what you see and will become my newest follower. Without further ado, here is the layout I created. I just love this photo of the hubby and I that Allison Schnurr snapped of us in December. 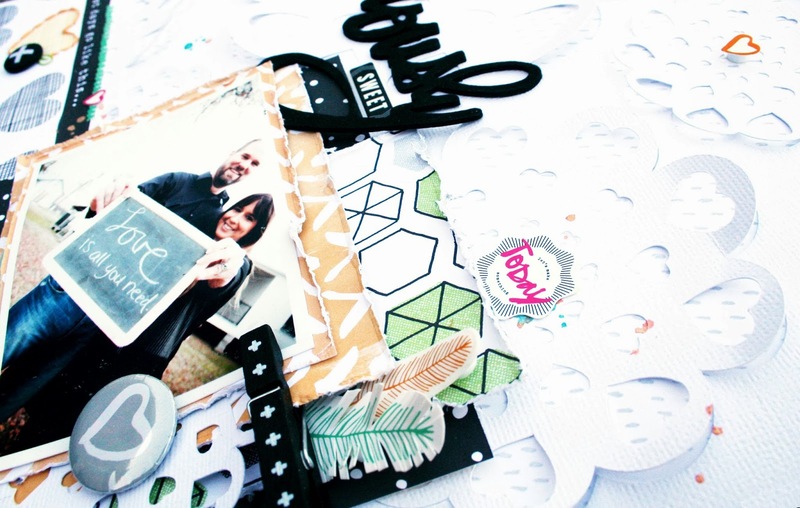 We’re a great match for each other and now it’s documented in our family’s history book…and Amy Tan's new collection, Plus One is soo perfect for this layout. To create the layout, I cut doilies in different sizes from white cardstock. Once cut, I adhered the negative cut white cardstock over pattern paper and then placed the doilies back in their spots, only adhering them down in their centers so I could pop up the edges of the doilies. I added the title and OH MY, I just adore those word phrase Thickers! I grounded the layout by adding a large border at the bottom and layering patterns and the photo over it. I used one of the doilies that was going to be covered by the border and repurposed it as part of the layering around the photo. I finished the layout by adding a few mist splatters and embellishments. Giveaway #1: I am giving away one set of American Crafts goodies (paper and embellishments) from Dear Lizzy Lucky Charm and Amy Tan’s Sketchbook collections. I’ll randomly draw a name from everyone who comments on this blog post. You can gain a bonus entries if you are a follower of my blog. You have until February 16th at midnight CT to leave your comment(s). Good luck! Giveaway #2: I am giving away another prize to those who follow me on Instagram (@heatherleopard) and leave a comment on my Love is All You Need photo going up on February 14. Now on with the hop. Your next stop is the amazing Elizabeth Gardner. I just know you will love what she has created. Here’s the list of designers participating in the hop. Your work is fantastic! Thanks for the chance to win. I love valentine´s day. thanks for the giveaway. That background is seriously amazing, Heather! beautiful layout, I really love it! AMAZING layout!!! I love all the different sizes of doilies!! Just fabulous!! what a great page! I Like what you did with the doilies! thanks! Yes, your layout IS seriously sweet! Love everything about it!!!!! Amazing!! Love this so, so much! I follow you on Feedly :). Thanks for all the blog hop links - can't wait to check them out. Love that big "seriously sweet" title! Looks great! I really enjoy your work! Thanks! What an awesome layout! Thanks for the chance to win! this is GREAT Heather--love how you ROCKED the cuts on your background--AWESOME picture of you and the hubs! Love the white on white doilies -- so pretty! Happy Valentine's Day! Just beautiful! LOVE the black and white with pops of color! Happy Valentine's Day!!! Beautiful layout! Love all the layering! Love all the texture you created with that background! Love, love, love the doilies & layering! Wow! Absolutely adore those word phrase Thickers! Gorgeous layout...thank you for the inspiration. Amazing background! and the whole page makes the photo pop. Love it. This is a cool background! Fabulous layout, Heather!! Love those pretty doilies in the background and the touches of Green on your page! Love the white paper on white paper. Gotta try this. Beautiful page! Your doily background is beautiful! And I hear 'ya on that phrase sticker. SERIOUSLY awesome! What a beautiful page! I loved! I like that you use black so boldly. Gorgeous layout! Loving all those doilies and a great photo of you guys! LOVE the stitching on your layout! Thanks for sharing! Love love love every bit of this! From the photo to the colors and textures on background! Love this. Can i copy? Wow, what a gorgeous layout!!! Love the layering and stitching work! Thanks for the inspiration and for the chance to win!!! Love your use of doilies and the way you used pop dots with them! Thanks for the inspiration and chance to win! Absolutely fabulous. The background you created is incredible. I am *seriously in love with that "seriously" part of the title I want those thickers so bad! Very pretty page! 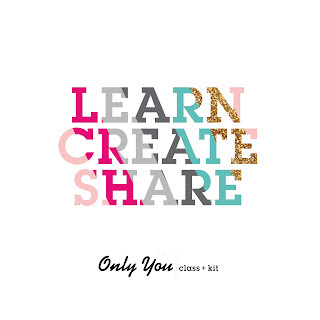 GORGEOUS layout Heather - LOVE your FUN photo and EVERYTHING about your page!!! Your technique of cutting the doilies then partially adhering them back looks STUNNING, as is your pop of colour against the white!!! love the hand stitching…i'd love to incorporate that into my LOs. LOVE!!! This page is rocking! you are truly amazing! I am already a follower! I love the doily action! and the picture is fantastic!!!! Great page! I love those diecut doilies! Gorgeous page! I love the dimension you achieved with the doilies! thanks for the chance at your prize! I follow you everywhere! Lol. Love your style! Wonderful layout. The white with the tiny touches of color is brilliant. Love how you turned up the edges of the diecuts. Very cool. Your layout is Seriously Sweet!!! Fantastic layout, I love the doilies! So lovely - this layout is amazing with all it's details and doilies!! Way to go - great work! Fantastic layout. I love the stitching! Love your layout. Seriously have to have those words! Simply outstanding...I love the cut out doilies and white-on-white!!! Love your cuts!!! Beautiful page and that photo is just awesome, too! Fabulous photo and fantastic layout to match! Wow! Very different. Love it. What a gorgeous layout! I love the doilies, thanks for the inspiration. I'm following your blog. 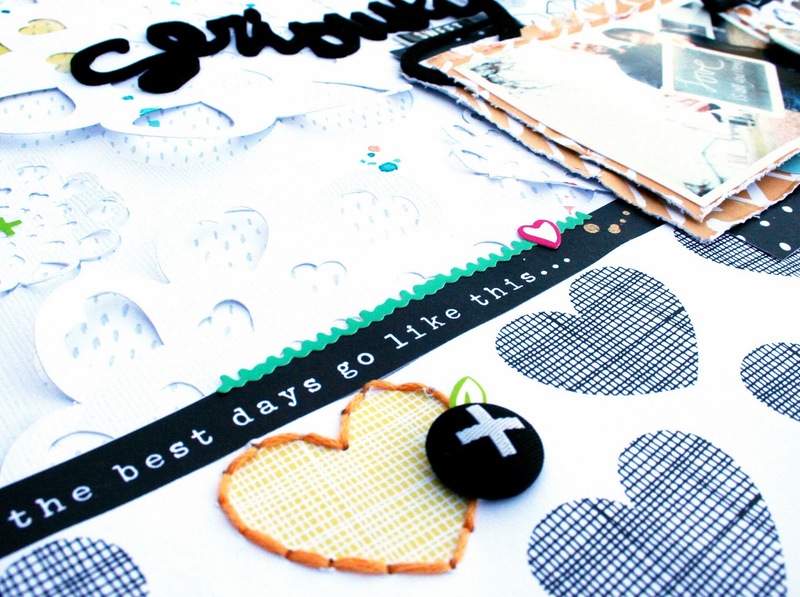 I love those heart doily things....this is just a crazy awesome layout! I love your style so much!!! Beautiful layout! Love the picture and the doilies. Wow gorgeous background! I love the bursts of colors! This is seriously sweet...lol! ;) Love it!! I love your beautiful layout! WOW HEATHER!!! This is STUNNING!!! Love your work! The plus one papers work so well!